Alicia Berenson's life looks perfect from the outside. She is a famous painter and is married to a famous fashion photographer. Together they live in a beautiful house in a posh area. However, one night Gabriel returns late from work and Alicia shoots him in the face five times. Then, she never speaks another word. After Alicia refuses to talk, the public imagination runs wild and casts Alicia as a villain. The price for her artwork explodes. 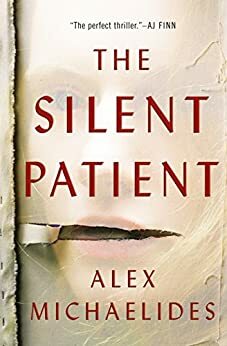 She is cast as the silent patient. Theo Faber is a criminal psychotherapist and is anxious to work with Alicia. He is determined to have her talk and unravel the mystery behind her husband's murder. I found the novel to be a spellbinding read. At first, I thought the book was going to have the predictable twist that Alicia was set up. However, I was surprised by how many interesting and unpredictable twists the novel had. I questioned every character and if anything the narrator told us was really true. Overall, one of my favorite books this season and I can't wait to read more books by the author. Fiona Skinner is a renowned poet who was asked about the inspiration behind her iconic work, The Love Poem. Fiona relays a story about her family and the betrayal that slowly rips apart her family. It all began when her father passed away unexpectedly. Her mother unable to cope with the loss and the demands of a young family locks herself in her room. Her children began calling this time "The Pause". They had to learn how to take care of themselves and became loyal to each other. Two decades later, the siblings have to rely on each other once again. Will they be able to rely on each other and move on from the past? I thought that this book was an easy read. However, while reading this book, I was reminded of my required school reading of books by Hemingway and Faulkner. It isn't because that this book or Faulkner or Hemingway are bad books but, they felt a bit bland and boring, especially, when you are required to read them, instead of reading them for pleasure. The characters were interesting but, I wasn't really invested in them. 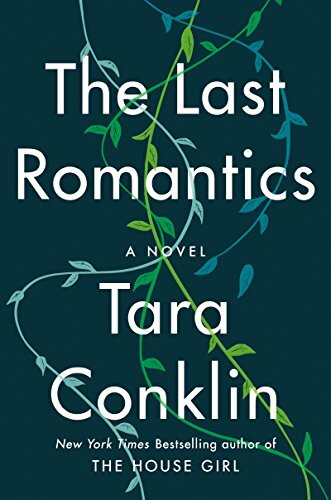 Overall, I felt like it might be an enjoyable book for some but, it wasn't my cup of tea. Becky Gerard is a devoted mother and she will do anything for her teenage daughter, Meghan. 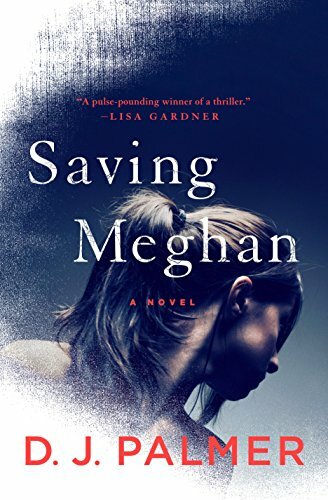 Her husband, Carl, believes Becky is obsessed with Meghan's illness and finding a cure. Meghan has been in and out of hospitals due to an unexplained illness. And Meghan's doctors have conflicting medical diagnoses. One of her doctors suspects Munchausen syndrome by proxy. There is a growing rift between the Gerards as they become suspicious of each other. Will Becky be able to prove that her daughter has a deadly disease before time runs out? I thought the novel was an interesting and suspenseful read. It was a delightful combination of thriller, medical mystery, and whodunit. The small cast of characters felt human with their vulnerabilities along with how far they will go help someone they love. Some of the twists were a bit predictable but, overall it was an enjoyable read. Lily Dane and her family have summered in Seaview, Rhode Island for generations. Rhode Island provides an escape from the New York social scene and a heartbreak that still haunts Lily. The seaside community has provided Lily with blissful childhood memories and friends. However, this summer is different when Lily's former best friend, Budgie and former fiance, Nick arrived. Under Budgie's influence, Lily is drawn back into her former friend's world and is entangled in a complicated web of lies and secrets. A hurricane is approaching Rhode Island, will Lily be able to uncover the buried secrets that haunt her? I originally got this book to read at the beach but, I only recently got the chance to read it. 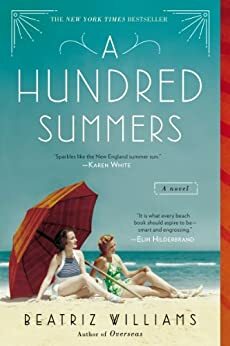 I can see why this book can be considered a juicy beach read as it is filled with secrets, deception, and betrayal. The plot was a bit predictable but, there were a few twists that were unexpected. Overall, it was a fun juicy read but, I wasn't really fond of the characters. For example, her best friend has betrayed her several times but, Lily still tries to help her. The book is a good read for fans of the author. Twelve-year-old Alex receives a package in the mail on a cold wintery night. The delicately wrapped package contains an old tin robot from his grandfather with a note that says, "This one is special". Alex starts noticing strange events occurring and he suspects the toy might be the cause. Right before Alex is attacked, his grandfather manages to save him. Worried about Alex's safety, his grandfather decides to take him to Europe. 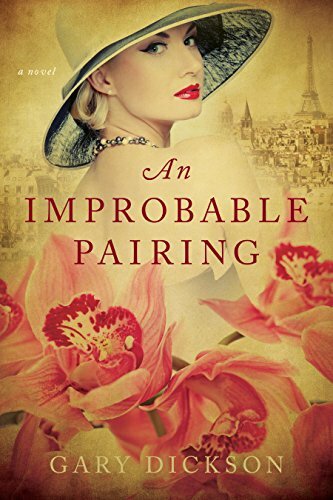 In Europe, Alex becomes entangled in a world of magic and an ancient family feud. Will the duo be able to solve the puzzle behind the old tin robot and stop the opposing forces who want to harm them. 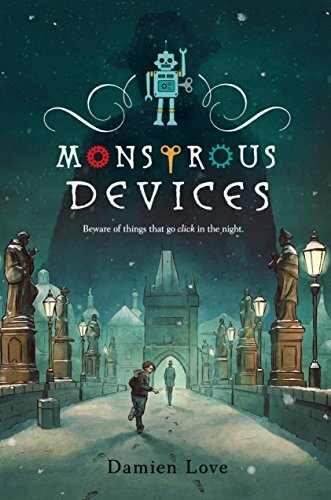 I was drawn to this beautifully illustrated book cover and thought it would be a great read for a cold wintery night. The story was entertaining and interesting but, it fell flat in some parts. I thought the plot was unique about old artifacts filled with ancient power and objects being controlled by pieces of human body parts. However, I was annoyed by Alex and his grandfather's relationship. I also didn't like that we were left with more questions than answers. I felt like the author came up with a few interesting twists but, wasn't sure how to explain it. Unless the author is planning to make a sequel, I would recommend skipping this rather disappointing book. 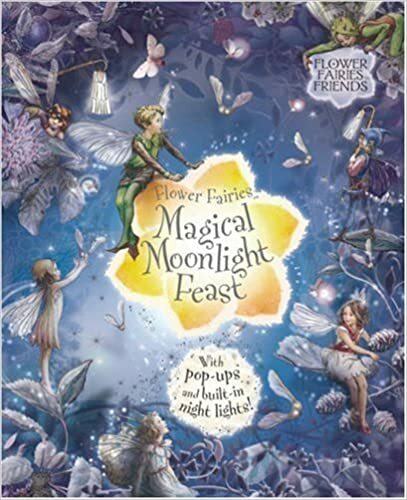 In this book, the fairies are planning a last minute feast to celebrate with their friends. However, how will the guest be able to attend the feast through the forest? The beautifully illustrated book is filled with pop-ups along with a final pop up with built-in lights. I thought the book was beautifully done but, by the time, I got this new book the batteries stopped working. Sadly, there is no way to replace the batteries. Overall, a fun and entertaining read for the little ones. Foxlowe is a crumbling old house on the moors but to Green, it is a special place. Foxlowe is the only place she knows. 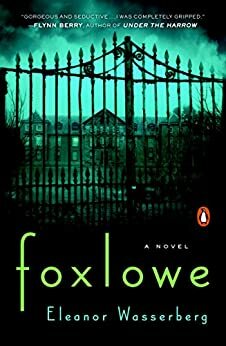 In Foxlowe, Green can do whatever she wants. She can run through the hallways, eat desserts whenever she wants, and be free of daily hassles. At Foxlowe, the family shares everything. They perform special rituals to protect themselves from the Bad. Everyone is content living at Foxlowe until Blue, Green's little sister, grows up and dreams of being in the Outside. She talks about become a Leaver; one of the unmentionables. The writing style of this book wasn't my favorite. I found it to be quite annoying and made it harder for me to enjoy the novel. I couldn't bond with Green and had a hard time understanding why she did certain things and why she showed Freya so much loyalty. The book was a bit slow and didn't have much going on. I also didn't like that there were parts of the story that they didn't explain. For example, who were Blue's parents? There were several time jumps that made the book confusing in the later parts of the novel. Overall, this book was a bit of a letdown and difficult to get into. I would recommend reading a sample before buying. During an early morning in November, a woman and a man board a private plane heading to Geneva. The plane never makes it to the destination as it crashes in the Alps. Matthew Werner is among the passengers who disappeared. He leaves behind his young wife, Annabel, who is unable to cope with his disappearance. 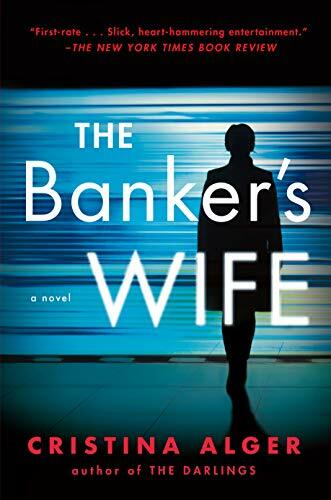 As Annabel tries to come to terms with her husband's death, she learns that her husband has kept a few secrets from her. While digging into his life, Annabel unwittingly puts herself in the crosshairs of his enemies. Society journalist Marina Tourneau has finally made it big. She is now engaged in the famous Ellis family. She can finally stop writing about the powerful families now that she is one of them. However, when one of her close friends is murdered, she agrees to work one more story. While investigating for her story, she realizes that someone close to her might be involved her mentor's murder. Who is after Annabel? Will Marina be able to trust anyone? I love thrillers and when I saw this book, I thought this book might be interesting. I found the plot to be interesting but, quite predictable. I didn't like many of the characters as I thought they were very one dimensional and not very well developed. I didn't really care if they got their happy ending or if they fell into a ditch. Overall, the book is a page-turner but, not a very good one. In this newest book by Jane Maday, she teaches readers how to draw cute animals. Utilizing photo references to create pencil drawings, the author shows simple techniques to add more depth to the drawings by using colored pencils and watercolor. 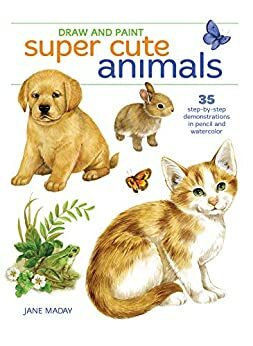 Readers can learn to draw puppies, dogs, rabbits, cats, songbird, ducklings, flamingos, frogs and chipmunks. I found the book to be easy to read. However, it didn't improve my atrocious drawing skills. I liked that the book included ways to paint our drawings. I liked that Jane included ways to add more dimensions to our drawings, such as flowers. Overall, a good book people who like learning to draw books.